October 30th, 2010 by KTU | Filed under 2. 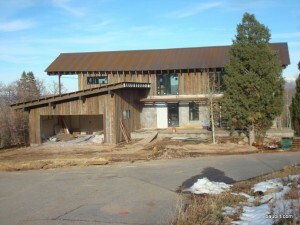 The Site, Excavation, and Foundation, Park City Mountain Modern. Minor detail: the gas supply. 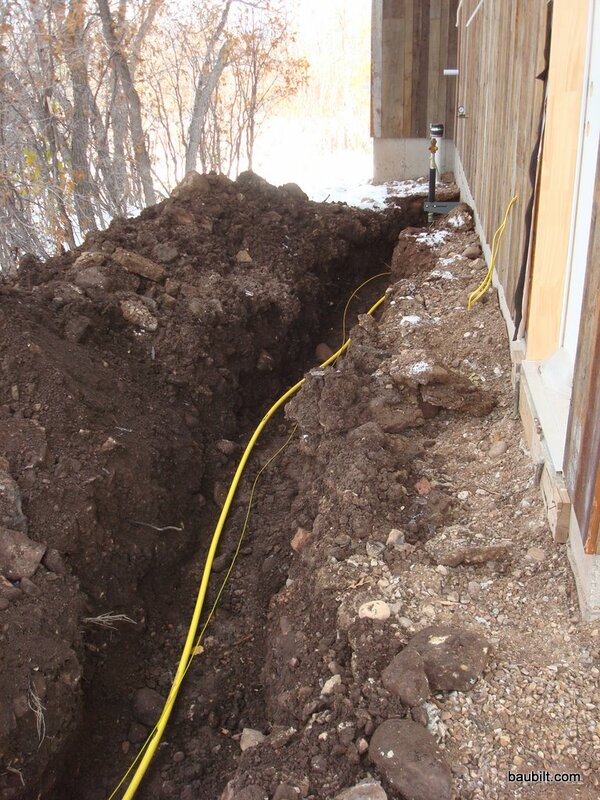 This requires a contractor to the gas company installing a line (shown below). Then the gas company installs a meter (in my case by a friendly guy smoking a cigar…really, a smoking gas line guy…wonder how long he’s been doing it?). They made a mess…so I ended up working with a spade and bucket to fix the driveway before the concrete guy comes. Trench and gas line to meter location. Took these guys about three hours to finish this job. 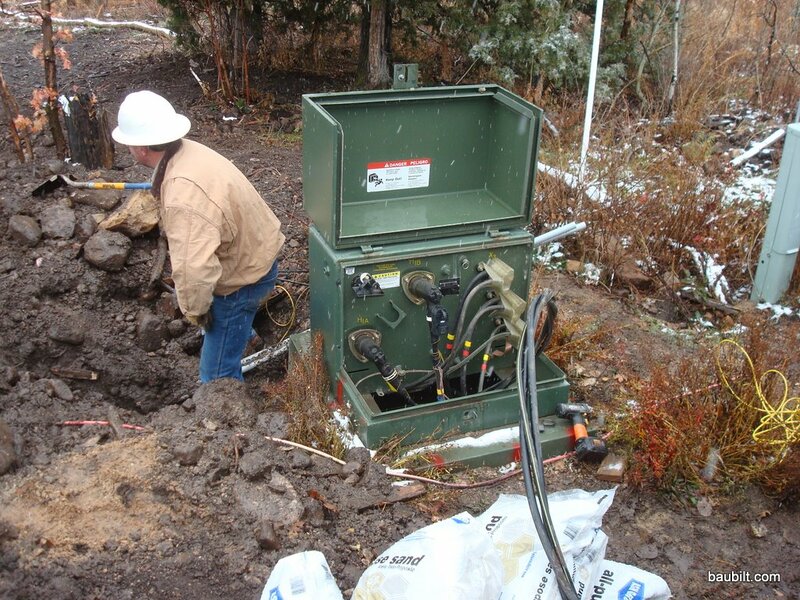 The Rocky Mountain Power guys pulling cable from the transformer to the box on the side of the house. The cable is in a conduit under ground. Nice to have power to the panel.